How do I manage categories for a catalog? As a Catalog admin, you can view all of your categories for a catalog by managing your catalog. 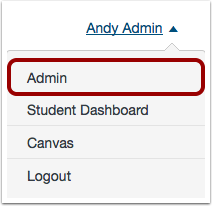 When categories are created in the parent catalog, the categories can automatically be applied to each subcatalog. However, custom categories can be created in each subcatalog. Categories will be used as part of an additional search functionality available in a future release. The Categories tab shows you the category name  and the type of category . To add new categories, select categories from subcatalogs and tabs. To remove a category, locate the category and click the Remove icon. 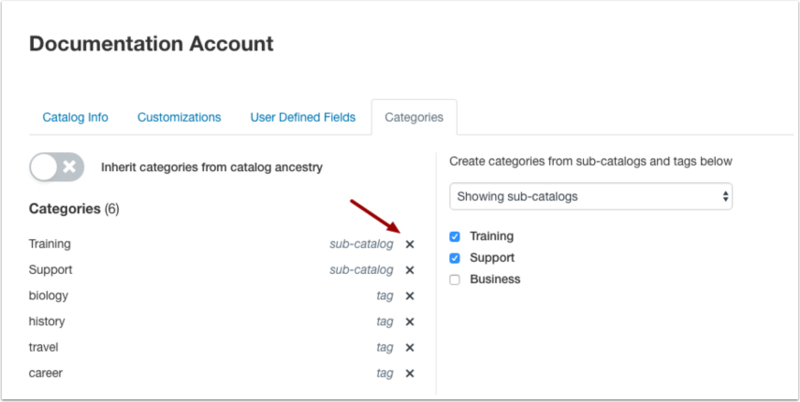 If you are viewing a subcatalog, any existing categories will automatically apply when the Inherit categories from catalog ancestry button is enabled . The categories will appear but will be uneditable . If you don't want the subcatalog to inherit categories, disable the Inherit categories button . Add new categories using the categories drop-down menu . Next Topic:How do I add a category to a catalog? Table of Contents > Admins - Catalog > How do I manage categories for a catalog?